Tori’s Bakeshop creates sweet indulgences crafted from fresh, local, eco-friendly and vegan ingredients. As Toronto’s first vegan cafe, the team at Tori’s has one goal – to serve quality organic, vegan, baked goods (with many gluten-free options) that put a smile on people’s faces, and to have fun doing it. 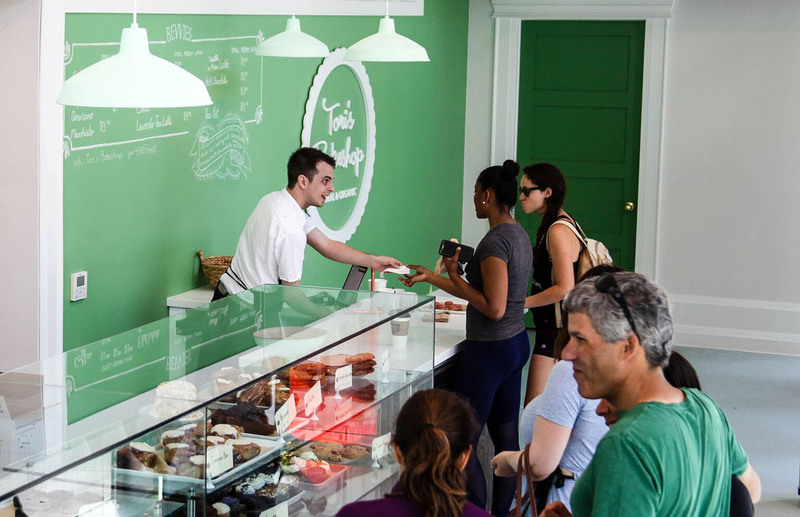 With a recently opened second location, their focus is on growing responsibly in the city. “We love thriving in the diversity of Toronto’s culinary demands. Our primary goal is to make food that everyone can enjoy, whether they have certain dietary needs, or make conscious nutritional choices. Our newest Toronto location in the Canary District is in a neighbourhood that specifically focuses on wellness, and we are proud to be its bakery of choice,” says Victoria Vaccher, the “Tori” behind Tori’s Bakeshop.